Amalaki Rasayana is one of the most famous and effective rasayanas. Amla, which consists of this medicine is one of the most rejuvenating plants of Ayurvedic medicine. Amalaki Rasayana is a rich natural source of vitamin C, that has strong antioxidant properties. This medicine has a pronounced anti-aging properties, is an aphrodisiac. Amalaki rasayana is an immunomodulator, tonic for heart, liver and respiratory system, improves digestion and eyesight. It regulates the acidity and can be used in the treatment of stomach ulcers. Also Amalaki Rasayana is indicated for the treatment of hepatitis together with other medicines. In addition, this product improves skin condition and stimulates hair growth. Indications: immune modulator, anti-aging tonic, diseases of the respiratory system, gastritis, gastric ulcer, tonic for eyes, heart, liver, and skin, hair loss. Content: Amla processed 21 times with Amla ras. Contraindications: gastritis with low acidity. Dosage: before meals, two times a day for 1/3 -1/4 teaspoon per day or as directed by your doctor. Original name: Amalaki rasayana Baidyanath. 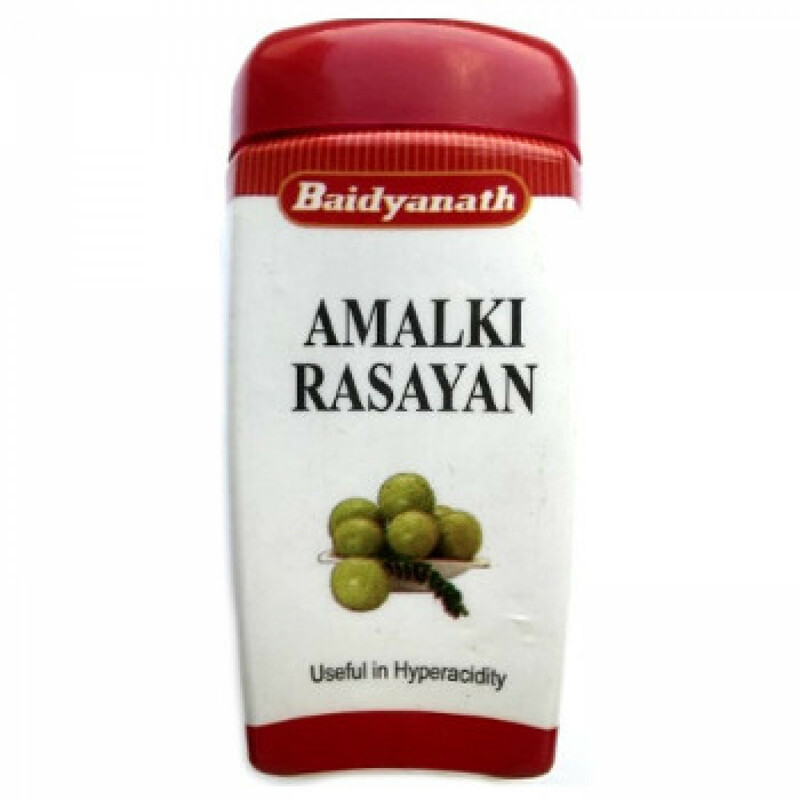 In our store You can buy authentic Amalaki rasayana Baidyanath at the best price!